Grew Up… in a fairly average American family, beneath the shadow of his parents’ unhappy marriage. He grew up with many privileges, but isn’t necessarily any better off for them. Living… out of a suitcase, as much in airports as in their nearby hotels. He has a condo in his hometown (wherever that is) and it’s on its way to being all he’s ever wanted – not that he’s there very often to enjoy it. Interests… sleep and support groups. One of the major psychic problems brought about by his work is insomnia, and the only cure he can find is sharing in the problems of others via support groups. Unfortunately he’s only pretending to have those specific problems in order to attend the various groups. Relationship Status… single. But he’s vexed by a woman named Marla that’s started showing up to all of the support groups he fraudulently attends – including the one for testicular cancer sufferers. Challenge… finding meaning in his existence and sleep at night. After losing his condo to a freak explosion he may have a second chance at both. 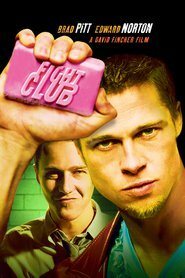 He meets a man named Tyler Durden, who invites him to stay at his place – and invites him to punch him in the face. Soon he and Tyler are forming a “fight club,” where guys like them can tap into the primal energy of punching each other senseless. Maybe that’s the best way to feel something in life. Personality… jaded, lonely, and lost. He’s capable of friendliness and courtesy, but also sees himself as weak when he fakes being polite. Unnamed's popularity ranking on CharacTour is #873 out of 5,000+ characters. See our top-ranked characters and read their profiles.